Sharing the first part of January today. While I plan to work on my Project Life weekly, I'm not creating weekly spreads. The first 10 days of January are all on one page. I used a mix of a few products here, but they are all related. 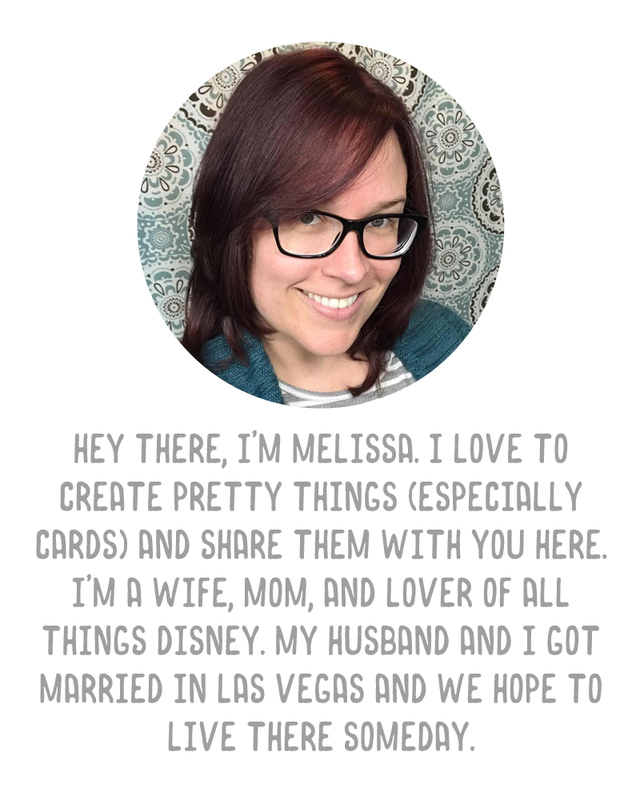 There are a couple of 3x4 cards from the new Project 52 2016 Project Life digital collection, designed by Amber LaBau. I picked this kit up in digital form and in the Project Life app as soon as it was released, because I love anything Amber touches. There are patterns and colors in this collection that are similar to those Amber used in her A New Day Papers add on from the January 2015 Memory Pockets Monthly collection, Folio (which the 4x6 card is from). I used some of her A New Day Elements as well. Finally, the calendar card is from the January 2016 MPM collection, Chapter. All of these products work so well together. The template used is my own pocket template. The start of January is always pretty tame after the holidays, so there's not a lot going on in my page, and that's fine. I wrote about my LuLaRoe obsession (because I think it will be funny one day to look back on my crazy clothes), Austin starting skating and Making A Murderer, because that consumed a week of mine and Brad's time. I also thought it might be fun to include the covers of the books I read this year, so I started with the first (and so far only) book I finished, Just One Lie by Kyra Davis (which I absolutely loved). That's it for my share this week. Simple but it feels good to be recording daily memories again. 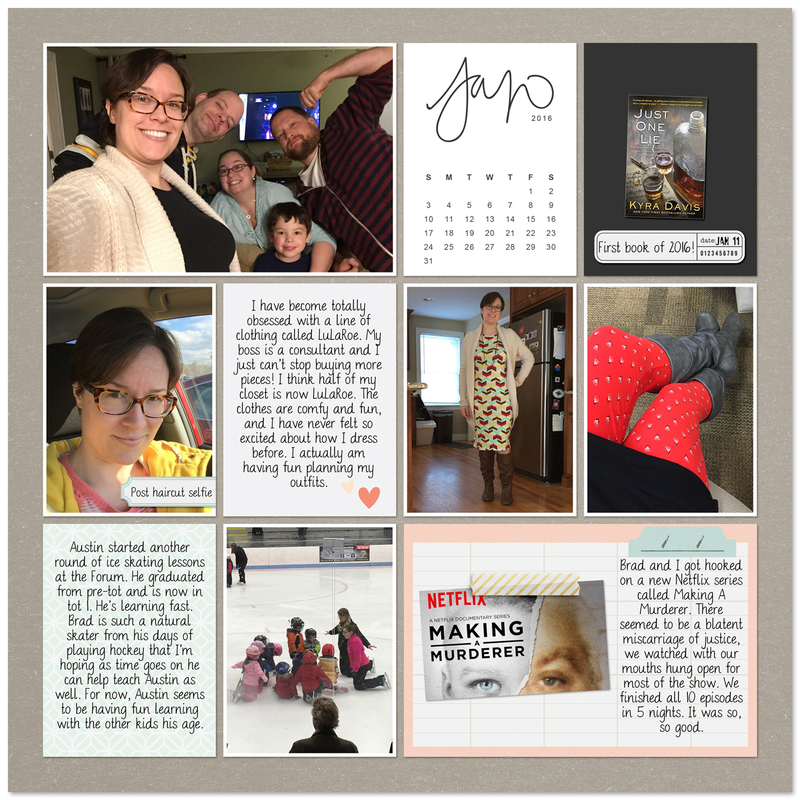 I love how you're doing Project Life this year... I think I'm going to do a more relaxed style this year too. I'm also loving the font you're using... it's so easy to read and looks good too. Is it one of the fonts from Kevin and Amanda?? Thanks! No, this one is a font called DJB Bailey. http://www.dafont.com/djb-bailey.font Is where you can get the free version. I think I own the commercial one.